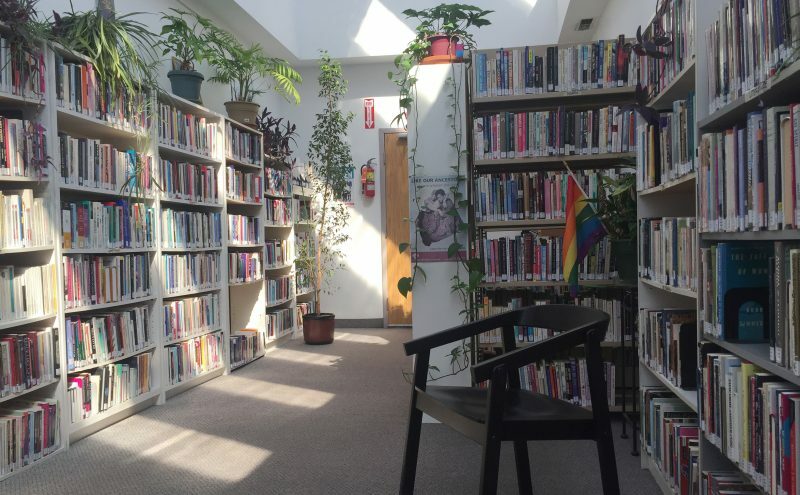 Rainbow Resource Centre (RRC) Library is an affirming safer space in which diverse sexual and gender identities, orientations, and expressions are represented in a collection of materials that promotes awareness and education about our community’s experiences. Our content is non-archival material written by LGBT2SQ+ authors and/or contains LGBT2SQ+ subject matter. The purpose of the Library is to provide a safer, welcoming environment that is user-friendly and functions as a place to learn, socialize, and network. We aim to provide access to knowledge which may allow folks to learn, unlearn, relearn, discover, reflect, and grow. One of our goals is to help provide readers with insight through access to non-fiction or an escape from daily life through fiction. Our online catalogue can be found on the Library Thing website. Please use the search box near the top that says “Search RRCLibrary’s books” to search our collection. We’re open during regular office hours, Mondays to Thursdays 10-5 and Fridays 1-5. We are also open late on some Mondays, 6-9 PM. Monday evening hours are dependent on volunteer availability and may be reduced in summer months. The library is closed on stat holidays. To borrow library items, a valid RRC Library Membership is required. A library membership is free. Membership applications and information may be acquired by contacting us at info@rainbowresourcecentre.org. If you have gently used LGBT2SQ+ books, films, or magazines you think would be a suitable fit and asset to our library please contact us. The RRC Volunteer Program is managed by volunteers. Check for current volunteer opportunities at RRC.